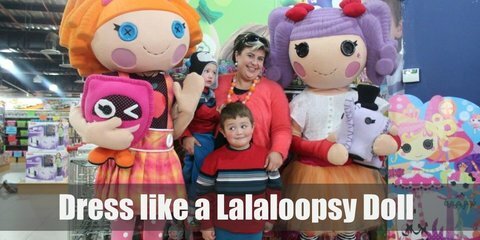 Lalaloopsy costume is a polka-dotted top, an orange tutu, black and white-striped tights, and a pair of pink boots. She also has purple yarn hair, tied back into two ponytails using red ribbon. 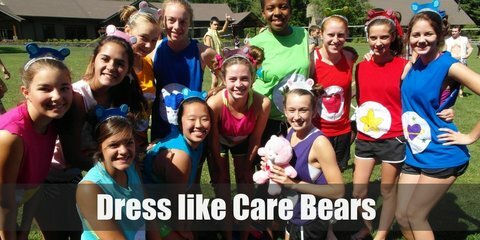 Looking like a Care Bear is easy! Just remember to wear a majority of the color of your chosen bear and stick their belly badge on your tummy for maximum effect. 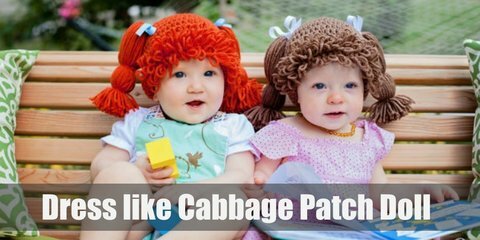 A Cabbage Patch Kid doll comes in many different skin colors, hair colors, and accessories. But they all have similarities in that they have the same round face, body shape, and the same hair made from yarn. 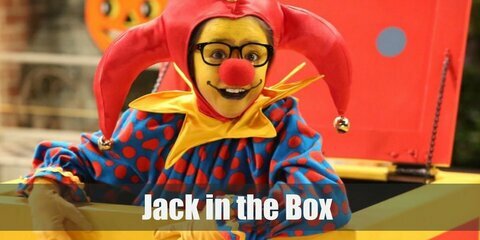 For Dressing up as a Jack in the Box outfit, you will need a clown outfit, yellow satin fabric, a cardboard box, and lots of acrylic paint. 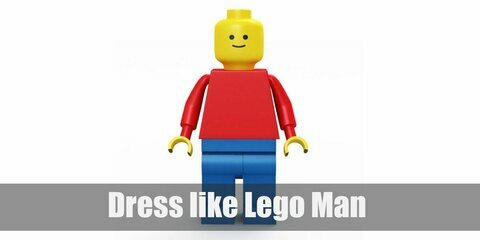 You can go as Lego Man and wear anything, from casual clothes to themed outfits, and it will still fit. All you really need to maintain is a Lego head and Lego hands and you’re good to go.